Just the other day, as a bullet lodged inside a dead student triggered riots, it got me thinking about triggers. It got me thinking about how someone, decided to pull a trigger on a students, who was protesting against a group of people pulling their triggers on 2 activists, and how the whole issue triggered a peaceful demonstration. Something else then triggered the peaceful demonstration to change into a looting spree. Notice that we are talking about what triggered the events, and not what caused them. If you wonder what the difference between the two, I will go at great lengths to differentiate them. Basically, an event can and is usually caused by many things, but usually, the event will not occur until it is triggered. For example, in when Egerton students rioted a few days ago, it was said that they had been harbouring grievances which had gone unanswered for a long time. It was reported that the riot was caused by a black out, but they had already experienced blackouts before and not rioted. So, I can conclude that the students were tired with their grievances, and were planning to riot. The occurrence of a blackout triggered the riot that was waiting to occur. This is not the first time that a massive reaction has been trigged by a trigger. The World War 1 is another event that was trigger triggered. The interesting story of World War 1 is that the whole war was based on complex protection treaties. At the time, they were a few European Powers, and the weaker countries had treaties with this powers that they could protect them in case of an attack from the other power. The British and German navies had also undergone an arms race, building bigger and better battle ships. The other superpower was the Russian empire. The Germans are said to have had such an industrial growth that they ran out of markets. (don't worry about such a situation in Kenya, it is unlikely to happen in the near future).The Germans are also said to have had a relationship with both the French and the Russians. The only problem with this relationship is that its temperatures rivalled those of the German winters. Other European powers that had such a relationship were the Anglo-Saxons and the Bosnian-Serbs. In case you are wondering what I am trying to trigger in your mind, is that with the above factors in place, a Bosnian-Serb Student had something in his mind that triggered him to fatally open fire on an Anglo-Saxon prince. Apparently, he did not “close the fire” on the 14th of June that he opened it, but rather triggered a series of fast moving events. The Anglo-Saxons were not happy with the Serbian response to the trigger pulling student, and they send several demands which turned out to be so outrageous that the Serbians decided not to meet them. Now, the Anglo Saxons deemed this as an invitation to war. The Serbians had a treaty with the Russians to protect them from an Anglo Saxon attack, and in turn, the Anglo-Saxon had a treaty with the Germans to protect them against a Russian attack. The French had also asked for naval support from the British, just in case they needed it. Since the Anglo-Saxons had invited the Bosnian Serbs to a trigger pulling event known as a war, the Russians tried to partly mobilize their army to help their Bosnian allies, but after the partial mobilization was deemed impossible, they ordered a full mobilization. As this mobilizations and R.S.V.P.s to trigger pulling events were been send around, diplomats , prime ministers and military czars were trying a diplomatic approach to trigger an end to this invites. But the fact that military czars were involved made misinterpretations and communication delays the order of the day. For example, the Germans believed that the Anglo-Saxons would keep the Russians off as the Germans engaged in trigger-pulling with the French, while the Anglo-Saxons thought the Germans would come to help pull the triggers on the Russians. Also, by the time the Germans were trying to diplomatic halt the Russian mobilization , it was too late and the mobilization was at a point of no return. So the Russians and the Germans began their match towards the trigger-pulling event which was hosted by the Anglo-Saxons and Bosnian -Serbs. The Germans also concluded that the British, French and Belgians wanted a part of the exciting action and so decided to R.S.V.P. them by sending 7 out of 8 armies on their way to France through Luxembourg. 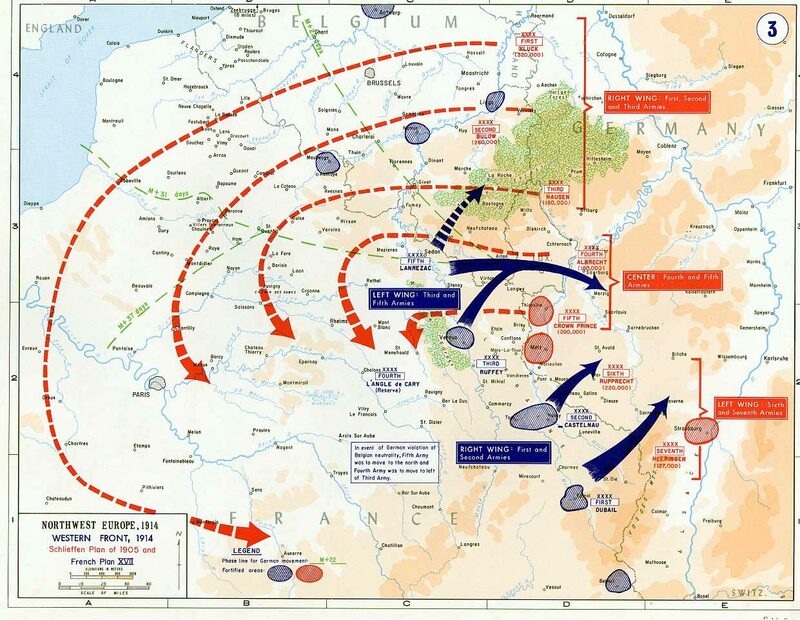 Since the Germans were now passing through Luxembourg, they also had to engage the Neutral Belgians. The British were not happy with this, and they decided to lend a trigger to the Belgians. Now, the French needed the British navy to fight the Germans,and this they got. But as the British pointed out, you cannot fight a half war, like in the water alone. In short, their navy been involved meant that they also involved their land troops. So Ladies and Gentlemen, that is how the largest trigger-pulling event in the World was triggered. A further 15 million souls went on to join the Anglo-Saxon prince souls in the next four years. To “close the fire” the same participants had to participate in another trigger pulling event 30 years later, known as the World War II.. Please sit back and take some time to imagine what would have happened had the Kenyans and Ugandans decided to engage in a trigger pulling triggered by the Ugandans troops on Migingo Island. Next time, think of what your actions will trigger. You can go one better by trying to solve the causes of an event before it is triggered. The world leaders decided to form the World Trade Organization(WTO) and the United Nations. The WTO would ensure that hard working countries like the Germans didn't lack markets(due to closed international markets) such that they got idle enough to engage their extra output in trigger pulling. The UN is supposed to ensure that communication breakdowns don't trigger trigger -pulling between countries. Whether the two meet their goals is open to discussion.